My friend built an extension for firefox, and I noticed that the timepicker control (in xul) does not display the AM/PM select, neither does it provide a 24 hour clock. (only on Ubuntu). This problem occurs only on Ubuntu (I have not tried other distros). The same firefox extension was displaying AM/PM correctly in Firefox when running on Windows Vista. 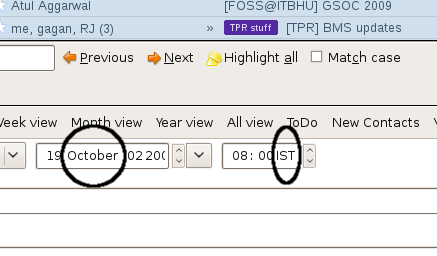 The same problem occurred with the datepicker control: it was displaying an arbitrary “October” between the Day number and Month number. (This too, only on ubuntu). I wonder why this is hapenning.